Areas with multiple electrical devices are provided with extra power outlets when you use the 6-Outlet Power Strip. This power strip offers a 3 ft. cord to accommodate devices with short power cords. The Globe Electric 6-Outlet Grounded Surge Protector Power Strip with Circuit Breaker Switch and 2 USB Ports brings you additional outlets to provide required electricity with added USB ports to charge your hand held devices. Being surge protected for up to 900 joules, it is the perfect strip to use with small appliances and electronics such as lamps, computers, printers, smartphones, tablets and home theatre systems. Save power consumption with the handy lighted circuit breaker switch. The 3-foot power cord gives you the added convenience of increased range from power outlets. Recommended for indoor use. The iSP100 Outdoor Smart Plug extends the award winning iHome Control Smart Plug series to control outdoor lighting, decorations, small appliances and more up to 1800W. The iSP100 is designed for rugged outdoor elements and works with GFI enabled outdoor 120V power supply. 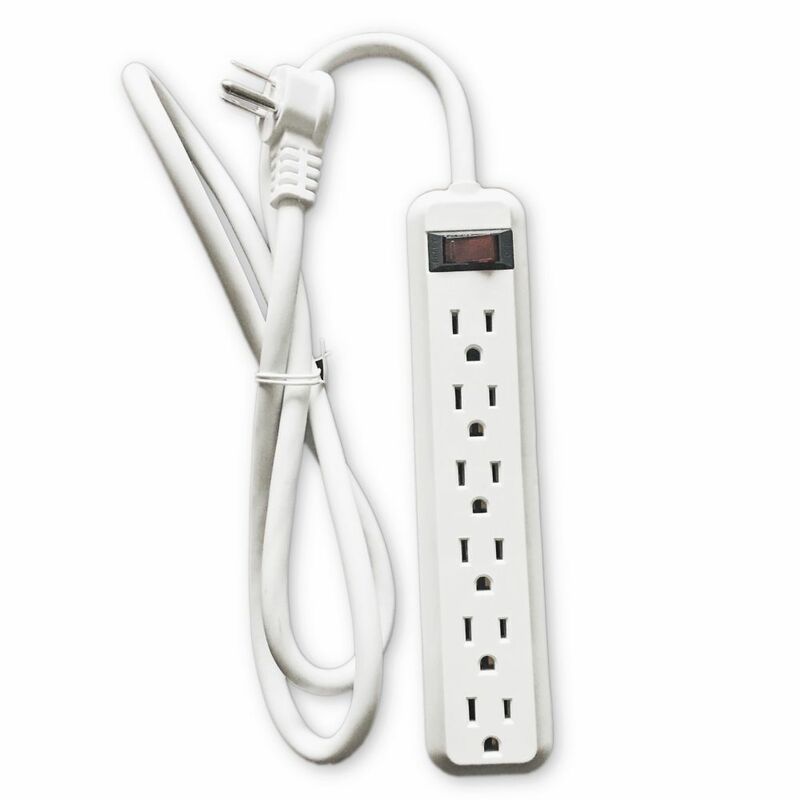 4 ft. 45-Degree Angle 6-Outlet Power Strip Areas with multiple electrical devices are provided with extra power outlets when you use the 6-Outlet Power Strip. This power strip offers a 3 ft. cord to accommodate devices with short power cords.